You've probably heard Tilray (NASDAQ:TLRY) mentioned or read about the stock more times than you can keep track of over the last few weeks. The marijuana stock's phenomenal rise, fall, and rebound have certainly attracted plenty of attention. Tilray's performance has made Auxly Cannabis Group's (NASDAQOTH:CBWTF) year-to-date gain of around 25% seem puny in comparison. Auxly definitely hasn't gotten even a fraction of the hype that Tilray has. But which is the better marijuana stock now? Here's a quick look at how Tilray and Auxly stack up against each other. Let's put all the buzz about Tilray's stock gyrations aside. There's more to Tilray than just the sizzle that's drawn so much attention lately. Tilray already has a solid business supplying medical marijuana in Canada. Its potential market will soon dramatically increase. Canada's recreational marijuana market opens on Oct. 17, and Tilray has lined up supply agreements for the adult-use recreational marijuana market in eight provinces and territories, notably including the biggest prize -- Ontario. But an even bigger opportunity for Tilray lies in international medical cannabis markets. The company recently became the first Canadian marijuana grower to win approval to supply both cannabis flower and cannabis oils to Germany. Tilray also has completed shipments of medical cannabis to Argentina, South Africa, and the United Kingdom. It even secured a green light from the U.S. Drug Enforcement Administration to export medical cannabis to the U.S. for a clinical study. The company shouldn't have any major problems fulfilling its supply commitments both at home and internationally. Tilray should have 912,000 square feet of growing space by the end of this year, including 230,000 square feet at its Portugal facility. There's also a wild card that could boost Tilray's fortunes (and its stock). The company has been viewed as a top prospect for selection as a cannabis partner by a big company outside of the cannabis industry. Although nothing has materialized on this front yet, scoring a big deal with a big partner would be yet another feather in Tilray's cap. 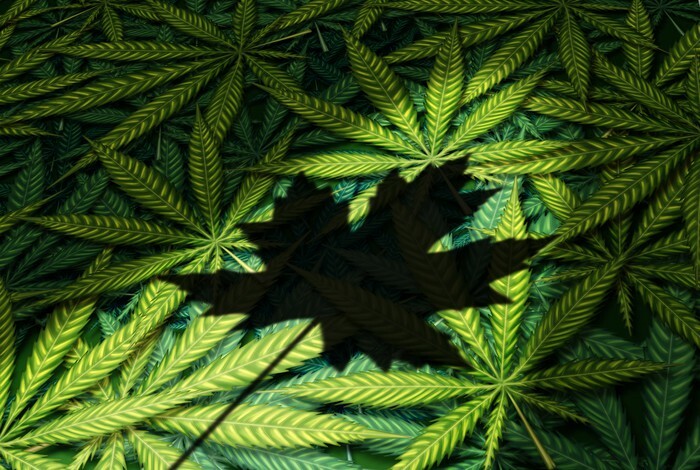 Compared to Tilray, Auxly Cannabis Group has flown under the radar. However, there's a lot to like about the company and its business model. Auxly used to be known as Cannabis Wheaton, in homage to Wheaton Precious Metals (formerly Silver Wheaton), the largest silver streaming company in the world. Auxly's founders liked the royalty streaming model that has worked well in the precious metals industry and applied it to the cannabis industry. This streaming model involves providing funds to other companies in exchange for a share of future products, future revenue, and/or equity interest. Today, Auxly claims five wholly owned subsidiaries and 13 streaming partners. These businesses operate across the supply chain of the cannabis industry, giving Auxly strong vertical integration. Most of Auxly's focus so far has been in Canada. The company has made multiple acquisitions and streaming deals with marijuana producers to the extent that it expects to have an annual production capacity of 160,000 kilograms by 2021, making it one of at least seven Canadian marijuana growers on track to top the 100,000-kilogram mark. Auxly believes that its funded capacity ranks it fourth among Canadian marijuana growers. However, Auxly also has ventured outside of its home country. The company recently announced it was buying an 80% stake in Inverell, a licensed cannabis operator in Uruguay. This deal is pending approval by Uruguayan regulators. If it goes through, Auxly will have a great source for low-cost production of cannabidiol (CBD) to export to other countries. I've intentionally avoided talking about valuation so far. But to determine which of these two marijuana stocks is the better pick for investors, we have to address the elephant in the room. Tilray's market cap stands north of $14 billion. Auxly Cannabis Group's market cap is less than $500 million. While Auxly stock isn't cheap, I think it's a much better bargain than Tilray. If you could only choose one of these two marijuana stocks, my view is that Auxly is the hands-down winner. Of course, investors have plenty of other options. While I like Auxly over Tilray, I wouldn't go out on a limb by recommending the stock as a buy. Marijuana stocks, in general, are probably too risky for many investors. And for aggressive investors, my view is that there are even better ways to profit from growth in the global cannabis industry.